The Genesis Framework is a fantastic foundation for anyone looking to build a self-hosted WordPress site. Genesis caters specifically to the do-it-yourself crowd. It’s awesome enough out of the box to for folks to set up it without any coding knowledge, but it’s so well-structured that developers can customize the heck out of Genesis child themes. 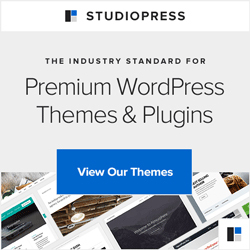 StudioPress, the makers of Genesis Framework, explain it like this: WordPress is the engine that runs your site, Genesis Framework is the body or structure around it, and child themes are the paint job. 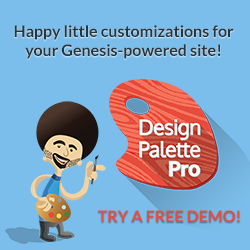 There are two premium plugins in the marketplace that specifically address the paint job part of your site, Genesis Design Palette Pro and Genesis Extender. Both enable you to customize an existing Genesis child theme to get exactly the look you want… so how do you know which one you need? I run a weekly podcast called OfficeHours.fm, where listeners ask questions and my guests and I answer them live on the air. Both plugin authors have made appearances on the show — Episode #6 with Eric Hamm and Episode #13 with Andrew Norcross — and we’ve fielded lots of questions describing the differences between the plugins. Even though they occupy a similar space in the market, they’re two very different products. To clear up the confusion, I’d like to look at both to help you decide which (if either) is right for you. Our first contender is Genesis Design Palette Pro (or GDP). Weighing in at $49 for a single site license, GDP was created by Andrew Norcross as a way to customize design elements for a Genesis child theme without writing a single line of code. The shining glory of GDP is the ability to customize a site design without touching code. The plugin runs on top of your Genesis child theme and includes a Settings panel, where you can adjust font families, sizes, colors, margin, and more. ALL WITHOUT TOUCHING CODE. Did I mention you never have to open up your style sheet or write any CSS? Don’t believe me? Go take the demo for a spin. If that’s not enough, GDP also uses a cartoon portrait of Bob Ross as a spokesperson. Do you create custom child themes to sell for Genesis? Imagine a world without theme color options and pre-defined font choices. Add support for GDP to your child theme, create some different “skins” as a bundle or an add-on sale, and you’ve simultaneously made life easier for your customers and increased your sales opportunity. Where GDP shines as a code-free style customizer, it lacks as a theme layout customizer. Actually, “lack” isn’t a very good word as the plugin isn’t technically lacking, rather it’s very specifically scoped to just deal with theme styles (fonts, colors, alignment, etc.). The focus of GDP is to do one thing really well and that’s customizing your theme style without touching code. If you’re expecting to control site structure elements, you’ll be disappointed. Next in the ring we’ve got Genesis Extender (GE), created by Eric Hamm of Cobalt Apps. Weighing in at $39 for a single site license, GE is a Genesis plugin offering you total control over your site’s structure. GE is for folks who aren’t afraid to get their hands dirty with code, but aren’t quite comfortable diving headlong into functions.php yet. It’s a great tool for a junior developer looking to build a deeper understanding of the Genesis Framework. As a matter of fact, it was a big help to me in my early days of Genesis. With the click of a button, you can generate homepage layouts for your Genesis child theme (i.e 1 wide column up top, 3 columns in the middle, and 2 columns below). With over 30 predefined layouts for the homepage, you can get just about any structure you’re going for. Set up new widget areas, tell Genesis where to hook the widget in (i.e. before content), and conditionally show the widget based on whatever WordPress conditionals you specify. If that last sentence made your head hurt, GE’s probably not for you, but if it made you heart beat a little faster to use a helper UI for creating & displaying widget areas, then you’ll want to take a closer look at this plugin. GE doesn’t magically do things for you. Yes, it provides a helpful user interface to build your own customizations, but you still have to build them. With the exception of the home page layouts, the rest is up to you. Also, GE does not bake cookies. So, who wins the battle in Genesis Design Palette Pro vs Genesis Extender? Turns out there’s no competition. Genesis Design Palette Pro boasts that it’s a plugin that frees you from needing a developer to style your theme. Conversely, Genesis Extender claims to be a developer living inside your theme. In short, they’re two different plugins targeting two very different types of users. If you’re just starting out with WordPress and Genesis and need to quickly change up the colors and fonts on your site, go with Genesis Design Palette Pro. 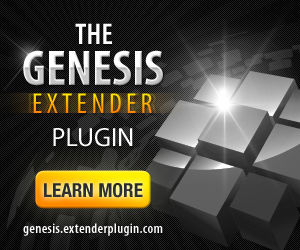 If you’re dipping your toes into custom development and are code-curious, go with Genesis Extender. I’ve used both products, know both developers, seen the quality of their customer support, and recommend proudly both plugins (hence the metric ton of affiliate links in this post). Hey Carrie, great comparison. I just did a post on Design Palette Pro and added it to my member site for the this exact reason you ended your post with..
Having worked with both I know my audience, beginners and casual users will find DPP the better choice for them. I think as you stated, they both serve a great purpose. For people like me who have no problem getting in and changing styles via the stylesheet, Design Palette Pro is almost the same thing. I have however purchased both Genesis Extender and the Dynamik builder as I am just never satisfied with widgets and layout (theme junkie LOL) and while you do need to set some time aside to understand how it works, it is very useful and worth the money. I would definitely recommend both products to anyone who asks. Now in terms of replacing your web designer, I dont know about that one. Time is priceless. And it doesnt matter how easy it is to use, clients may not want to find the time to use it. Both tools are great for clients and developers alike. Just two more reasons to know that Genesis is here to stay. Thanks for the breakdown…. This is an awesome round up, Carrie! I have Genesis Extender, but I’d only heard about Genesis Design Palette Pro on GOH a few weeks ago, so it’s great to get caught up on the differences. For my part, I’m trying to grow my PHP skills, so I think I’ll stick with Extender as it seems to fit well with that goal. Thanks so much for taking the time to put this together! Glad to help! Sounds like you’re on the right track with GE! Design Palette Pro recently changed their system so you don’t need an add-on for the themes they do support. I had some questions about this and they went above & beyond to make sure the transition went smoothly. They got into the nuts and bolts of my client’s site to ensure uptime. So I second (third?) this recommendation. Thanks for the additional testimony, Sheryl! I know my experiences, but it’s good to hear them confirmed by someone else’s! Hi Carrie – thanks for the post – useful! Could you use both – one to do the design / paint job without code and the other to create widget areas and code etc. Or would that be overkill? I don’t think it’s overkill if it accomplishes your goal. 🙂 If your goal is to get a site done sooner rather than later (DIY-style), then use both. If your timeline is more relaxed and you want to learn CSS, just go with with GE. Hey Carrie! Nice post. I started working on a free Genesis child theme last weekend that works with the theme customizer to do similar things to both plugins you’ve mentioned. Carrie, thank you so much for this great comparison article. It saved me a lot of time and I appreciate your help! GE looks like an easy way to learn and experiment with PHP and CSS. Does using GE affect the performance of the site? How long did you use it before coding on your own without it? I probably used it about 9 months or so before I “graduated.” It mostly helped me cement the concept of action hooks and attaching widget areas to a particular hook. One more thing… Do you still using GE and GPP plugins on your projects? Welcome to the world of developing with Genesis – glad you’re finding some helpful goodies here! GE is really a different ball of wax from Types & Views, etc. Where the toolset deals more with creating and displaying custom post types, GE more excels at creating widget areas and hooking them in at different spots on your site (and of course exposes you to Genesis-specific code). Honestly, I look at these tools as a stepping stone in your developer journey. I own all of these products (GPP, too), but no longer feel like I need them. They served a purpose as an intermediary step in my understanding of how the code worked, if that makes sense. Regarding GE, if you’re already using Simple Hooks comfortably, then you probably don’t need GE. If you’re more in copy/paste mode for Simple Hooks, then using GE would probably help bridge the learning gap for you. I also highly recommend Nick Croft’s Genesis Explained series. It’s heavy on geek-speak, but does a fantastic job of breaking apart the Genesis Framework and connecting the dots for how things work. I have been learning about CPT and using Types to create those with custom fields. However, despite reading many tutorials, I still cannot seem to grasp what code I need and where I need to put it to display the CPT content into a page that is specific to that content. I find code snippets from tutorials and I am starting to understand the process – but I cannot get the code right. As such before I spent more money on more plugins, I was trying to determine if the Views plugin was really necessary if I have Types and Genesis Extender? I tried to follow a Genesis Extender tutorial recently to add a template and add content with php code without effecting the admin so not to break the site, but whatever I did, the whole website went down and the Genesis Extender was the plugin causing the problem. So I am obviously a bit nervous to do that again. Views is all about displaying the content types you create with Types, so if you want a relatively code-free way to custom display your CPTs that’s a good option (here’s a webinar that covers the basics). There’s also a new plugin called Conductor that’s an awesome visual tool for customizing how your content displays. Here’s some info on how it works with Genesis (if you go that route, you can use 20% off coupon code carrierocks20). Now, if you’re more interested in learning the code bits (as opposed to just getting your site done! ), then forget the plugins and just keep digging in to tutorials like you’re doing. I have a class up on Lynda.com for customizing Genesis themes that would help (you can get a free 7-day membership with this link). thanks for the information. I am a lot clearer on things after reading your info earlier – checking out the Genesis Explainer – really made a lot of sense of all the coding and tutorials that are around that just didn’t make any real sense without reading the explainer blog and looking at PHP at W3 Schools – I don’t get it completely, but certainly able to understand the code from tutorials a bit better and work out how its all connecting up. I know its just a matter of understanding what PHP code to use, how to use it and where to put it and determine when to create custom templates or not – all of which I am still trying to determine which is best in terms of making the site organised, quick on loading, being compliant and most importantly that data won’t get lost on running updates. I know the Types and Views type of plugins are great but I do get a bit concerned in relying on such plugins for creating key structural setups to the site you are looking to build. Plugins I find are great for some things but for me, as much I like Types etc – I don’t feel in control of the site and how it is being developed. As such I have signed up to your free 7-day trial – so will see how I get on there. I feel like I am almost there with understanding what I need to do – but not completely. Can you explain why this is so I understand because I have been using the Genesis Extender to help me learn a bit of php code and using the php builder and following tutorials – it shows to wrap things in php code. However my recent experience of Genesis Extender is that my site keeps breaking and so the obvious question I have been asking myself – is it something to do with this? Wow! Thanks for your generous answer and all recommendations. If I decide to buy GE, certainly I’ll do by your links. Cheers! I feel what GPP does can be easily accomplished with Firebug add-on. But GE is more valuable to understand the coding process. So if you can buy only one, I go with GE. Thanks for demystifying these two. I just bought Genesis Extender through your affiliate link. I learned about it from you, so thanks for the info and the review! Carrie, this post was SO helpful!! You clearly defined the differences between these two plugins and it was very enjoyable to read. Thank you, thank you! Glad to help- thanks for the feedback! Thank you Carrie, this was a super helpful article to read!! I found some info saying that Genesis Design Palette is compatible with certain child themes. I’m new to web design and I’m not sure if that means it won’t work for other themes…particularly the one I use- Foodie Pro? Glad the article was helpful! They don’t currently offer support for Foodie Pro (or any non-StudioPress themes, I don’t think). If you go to their home page (https://genesisdesignpro.com/), there’s a link to see a list of all themes supported. With Extender, will I be able to see my code in functions.php or does it wind up in an imported file? In other words, if I were to remove Extender for some reason would my code get whacked? Custom code generated by Extender ends up in a folder under wp-content/uploads/, so the code stays regardless of whether the plugin is around. That said, the code is only executed if the plugin is active. If you decided to move on from GE, you’d want to get at your custom code from that uploads folder and incorporate it manually, via functions.php or such. Hi Carrie, love you update and videos. When would you use both of these Genesis plugins’ with the same site / child theme. Is there a conflict installing both on the same domain? Admittedly I’ve never tried them both on the same site. That said, I can’t see any reason for conflict. Only potential issue I could foresee is that if you use GE’s CSS module to custom style an element that you’ve also specified via GDP, one would “trump” the other (whichever plugin’s stylesheet gets loaded last) – but that’s an edge case and easily fixable at that. Instead of comparing Design Palette Pro to Cobalt App’s Genesis Extender, a more appropriate comparison would have been to Cobalt App’s Dynamik Website builder. The “Design” section of DWB is comparable to DPP. But I think DPP has more advantages. It will work with most of the Genesis child themes. DPP lets you view changes you make in real time without having to save them. DWB doesn’t. I think the combination of Design Palette Pro and Genesis Extender is the way to go. I bought both Dynamik Website Builder and Genesis Extender. But I think I will switch to using Design Palette Pro with Genesis Extender. I’m not satisfied with the cumbersome way that DWB works in comparison to the simplicity and ease of DPP. Can anyone comment on the quality of the CSS these plugins produce? It appears that Genesis Extender is creating a custom CSS file that simply overrides certain styles as applied. Does Design Palette Pro do this too — or is it adding inline CSS and a bunch of tags? Design Palette creates a minified CSS file with a custom body class, along with the same class the element itself so it takes priority. The file itself is loaded to allow for caching, however, doesn’t actually change any of the theme files itself. Thanks Andrew! That’s really helpful to know. Hey Carrie. Thankyou for the overview. Im getting into the nuts and bolts of WordPress and really enjoyed reading about these tools. ill be giving Genesis Extender a try and see how I get on. Carrie, will Genesis Extender allow me to move my simple author box to another hook position in my child theme? My goal is to insert some HTML code at the end of my posts but the author box is occupying that hook position. Yep! If something’s already hooked and you want to hook something additional there, you can use priorities to determine the order things get hooked. The default priority level for hooking something is 10 (i.e. add_action( 'this_hook', 'my_function', 10 )). If you want your HTML before that, use an earlier priority, like 5. Similarly, if you want to place it after that, use a later priority, like 15.